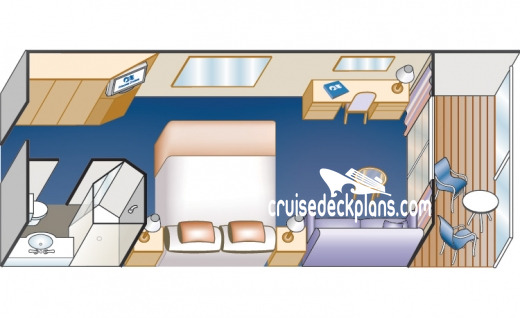 - Private wrap around balcony. 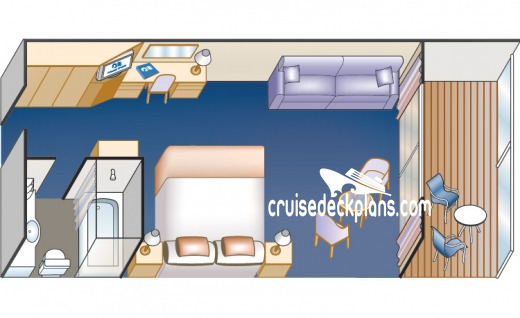 Cabin size ranges from 583 to 598 square feet plus balcony that range from 283 to 364 square feet. 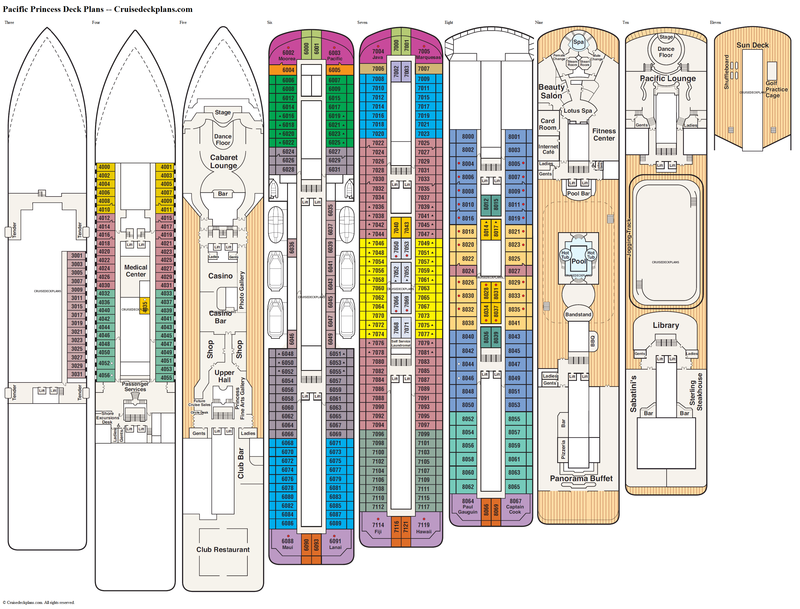 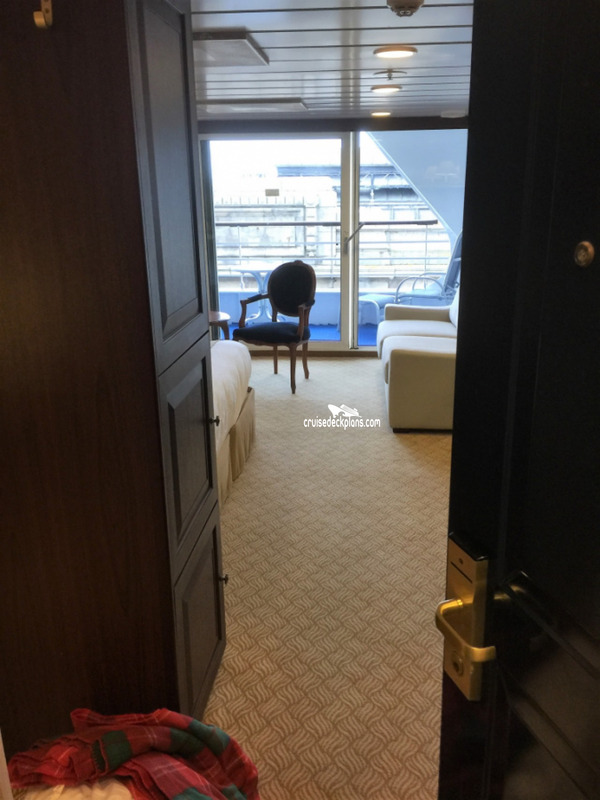 Category M2 is part of the new Club Class and includes a welcome glass of champagne, priority embarkation and disembarkation, luxury beds, reserved area of main dining room for breakfast, lunch (sea days) and dinner with dedicated wait staff and exclusive menu and service options. 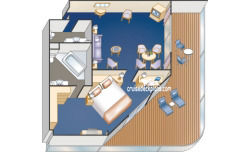 Some rooms have a sofa bed in the sitting area or upper Pullman-style beds. 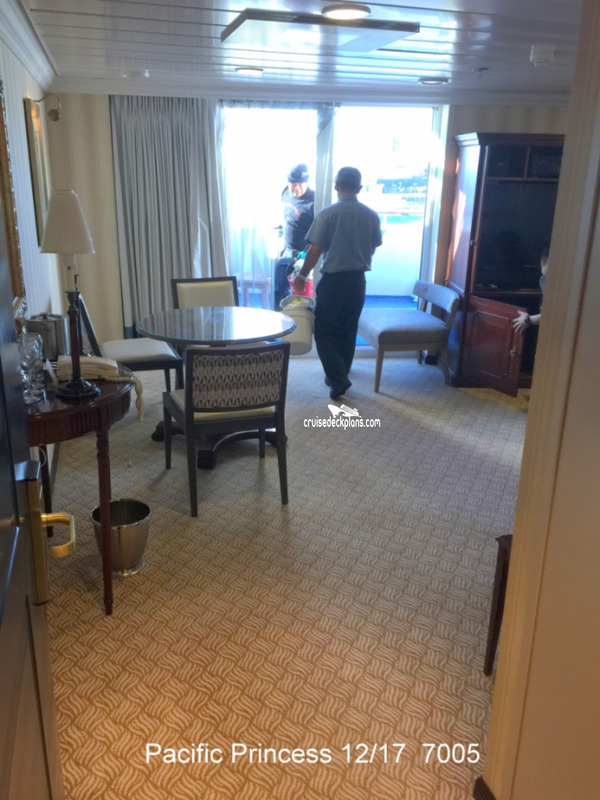 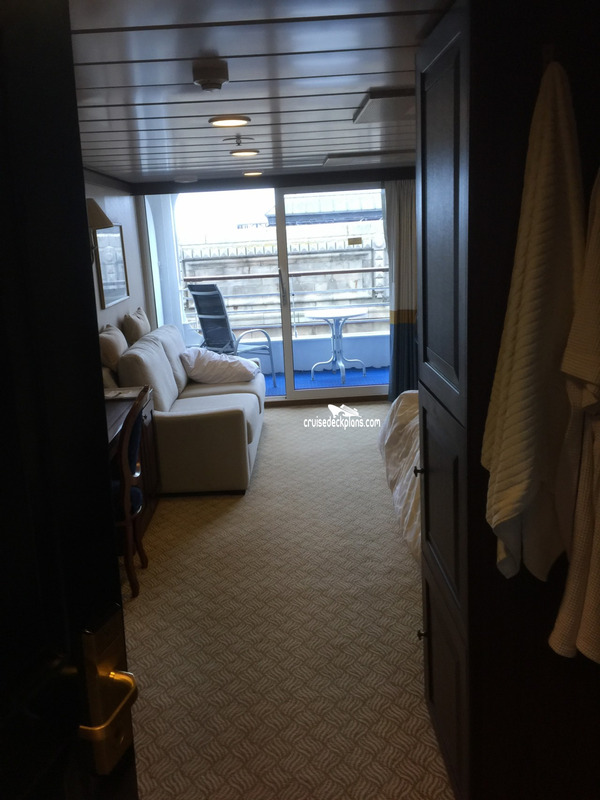 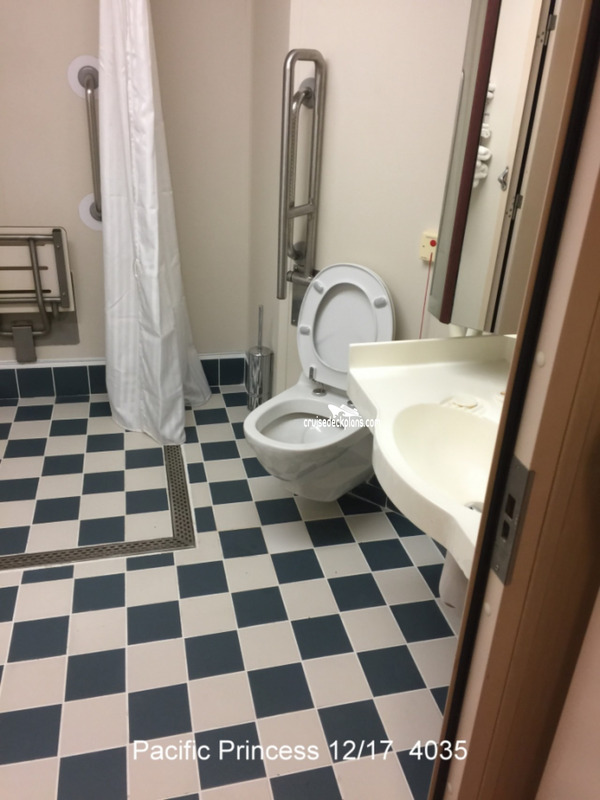 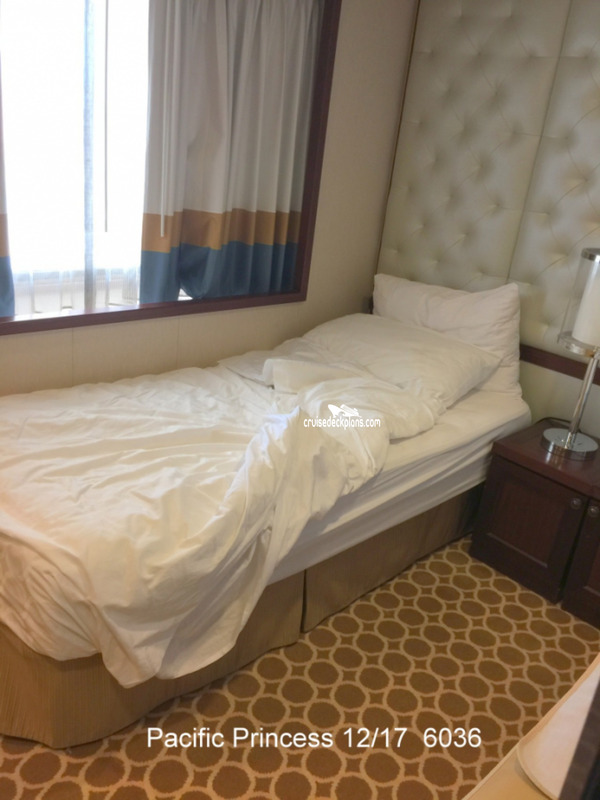 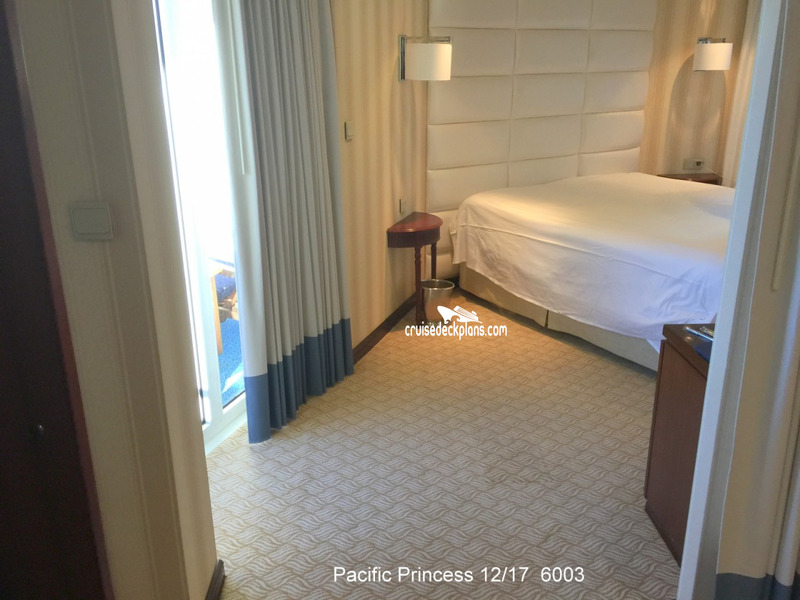 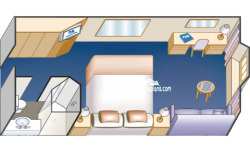 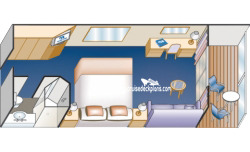 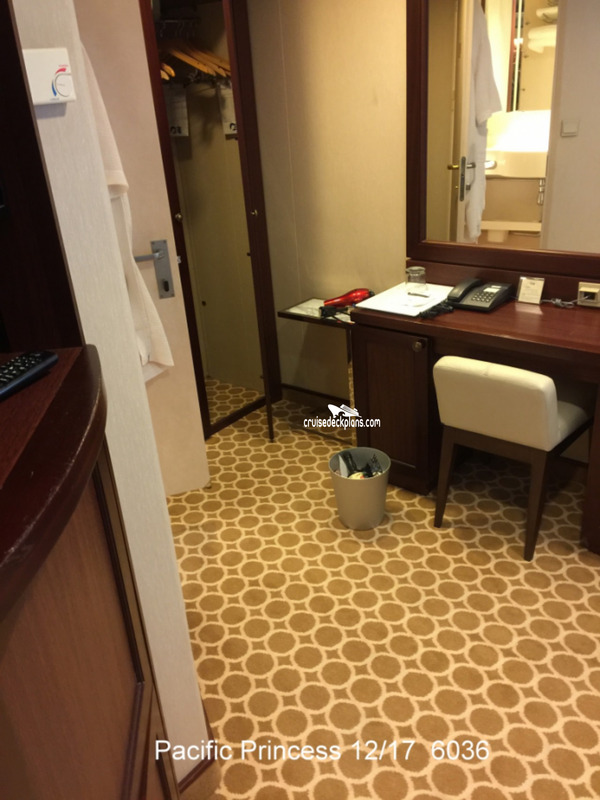 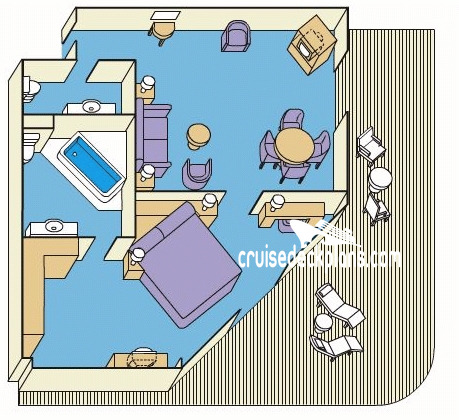 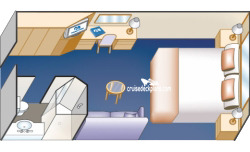 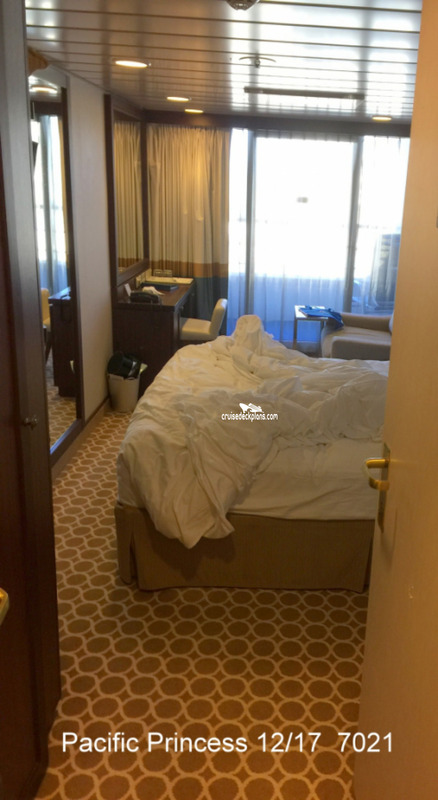 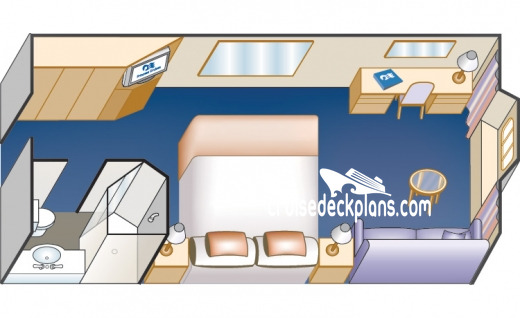 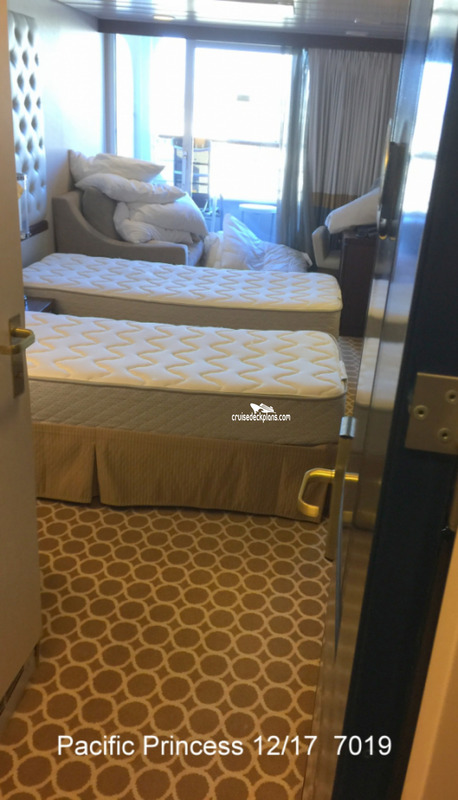 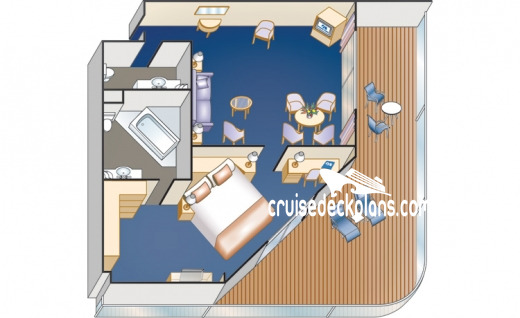 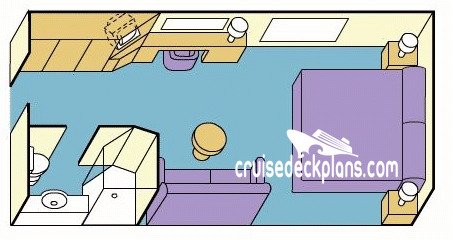 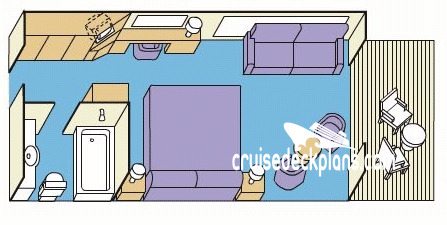 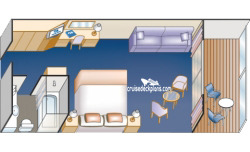 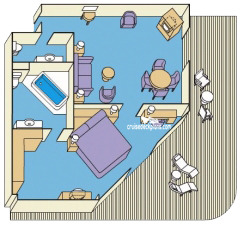 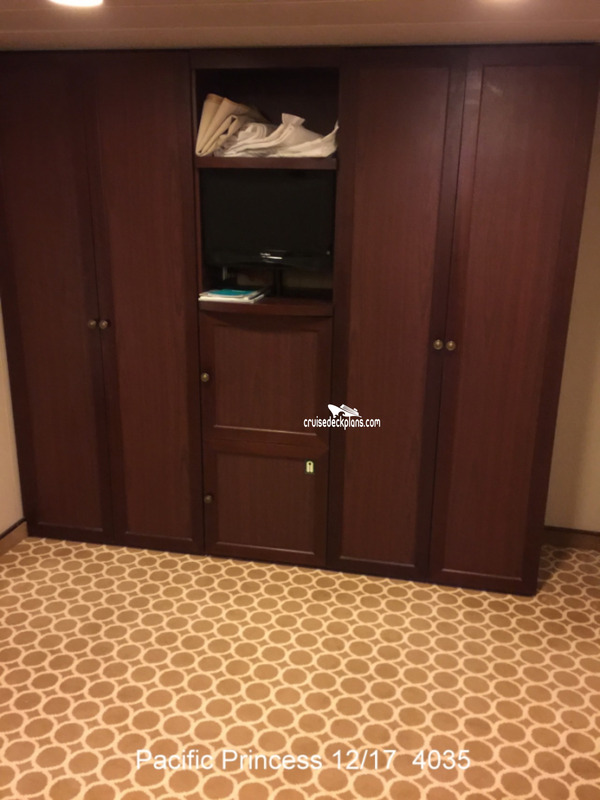 Some staterooms have non-convertible twin beds.